🚓 🐾 🚔 It's time to impress your kids with their new cutest look! Your favorite pups are here to help you make the best photo montages and amaze everyone! Try out all the funny costumes in the most popular kids photo editor and face change app! 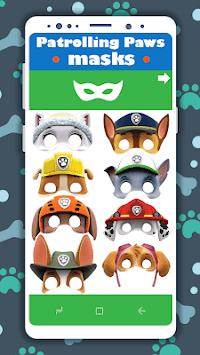 Just a few clicks and our Paw Patrol figures are coming to help you get the coolest costumes completely free of charge! 🚨 Patrolling Paws Photo Montages 🚨 are here to make every lover of the cute puppies happy! Do you like seeing cute puppy pictures on the internet? 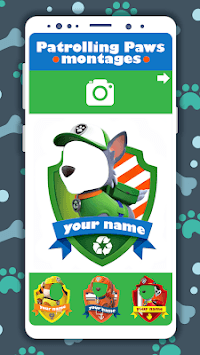 Well, now you can use our best of paw patrol games and dress up your kids in the most adorable puppy patrol costumes! It will melt your hearts immediately! 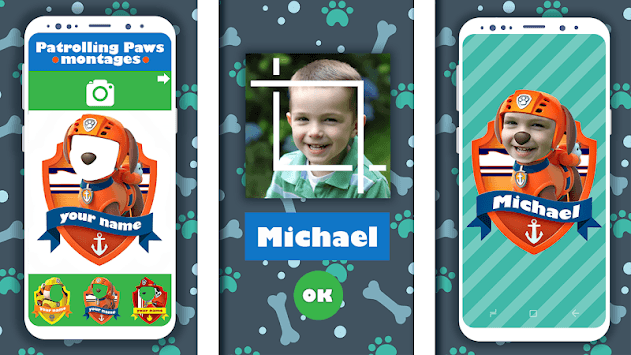 🚓 🚨 🚓 Make sweet picture frames collage, edit photos, and montage them in some of these great paw patrol dogs suits. This is a great face photo changer, best of dress up games and we guarantee you will have tons of fun. Find plenty of costume suits and beautify babies or older kids who fancy puppies and cartoons. Montage photos of your little ones in cute animal suit frames, put the cutest noses, and dress them up as the friendliest policemen. There are many beautiful costumes, stickers and frames in this camera app. So if you use imagination, with these photo montage apps you can make a great art work. Beautify your kids photos, in perfect photo suit specially designed for them. Your child can look as its favorite paw character!